Use a pan with a normal thickness, not too thick or thin. Do not stir, this will crystallise the sugar. It’s OK to rotate the pan a little bit. 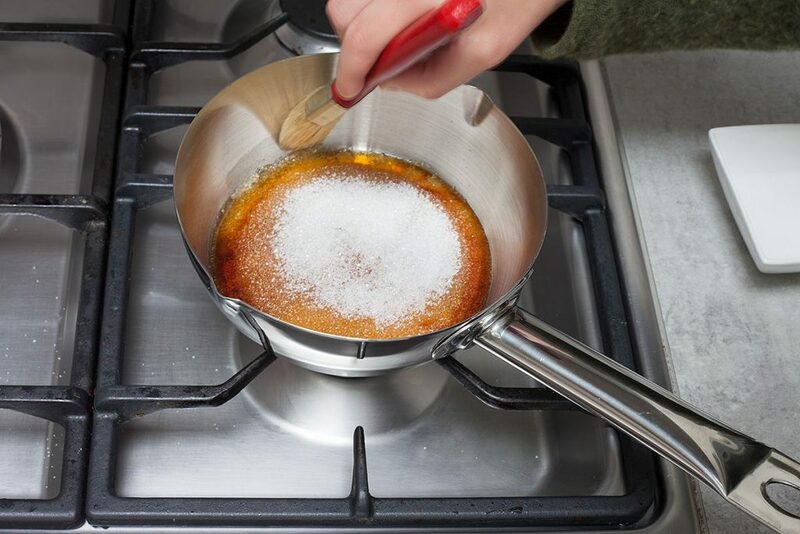 Keep the sides of the pan clean using a wet brush, this prevents the sides of the pan from burning. 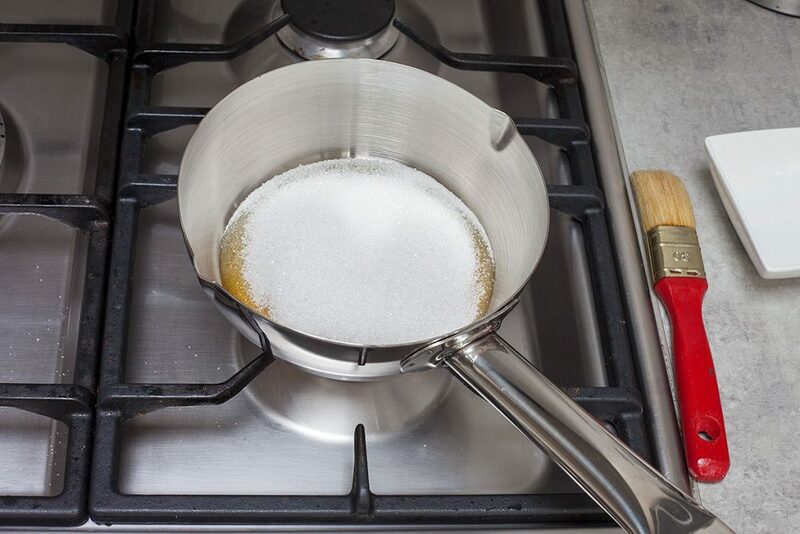 Add sugar into a pan and turn the heat down low. It’s very important to not stir! You’ll notice the sugar will slowly melt and the sides will show discoloration first. Keep the fire low and do not stir. After a few minutes all of the sugar will be melted. Help the middle part a little bit by moving the pan around. 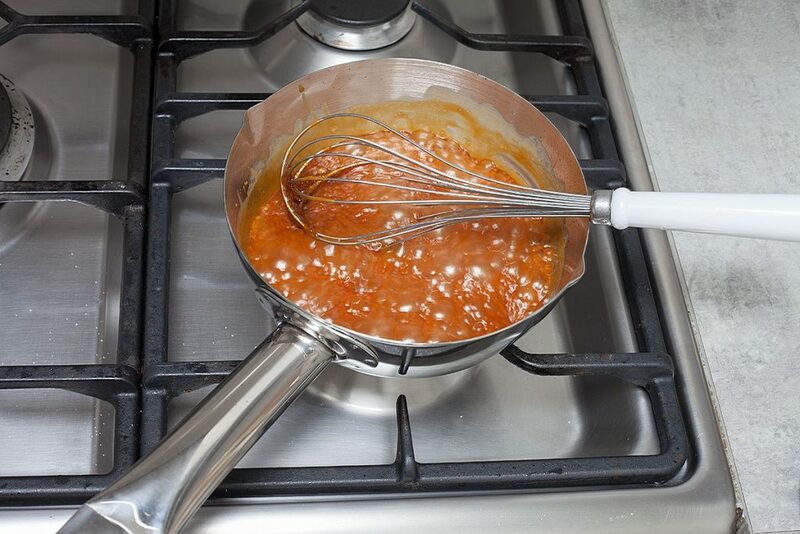 Some caramel will stick to the edges of the pan, clean this up using a wet brush to prevent the caramel from burning. 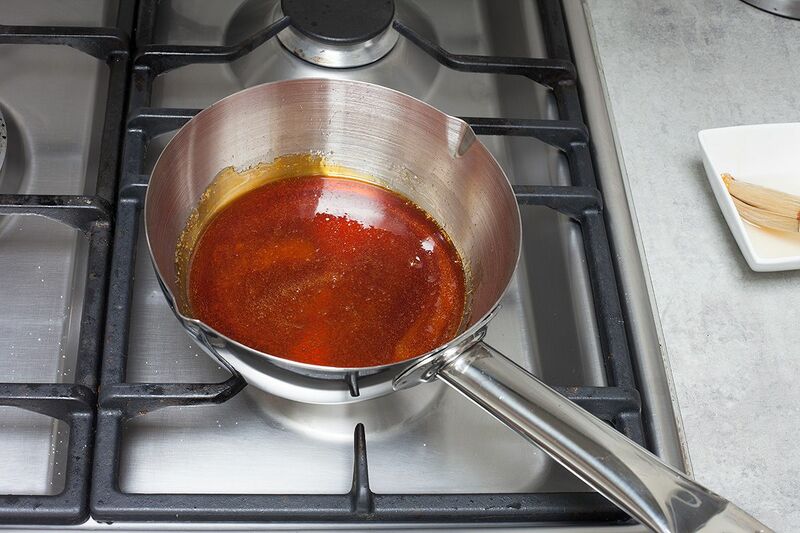 Use this homemade caramel sauce as a base for many delicious recipes. Add heavy cream to create a caramel sauce or make caramel ice cream or caramel popcorn.